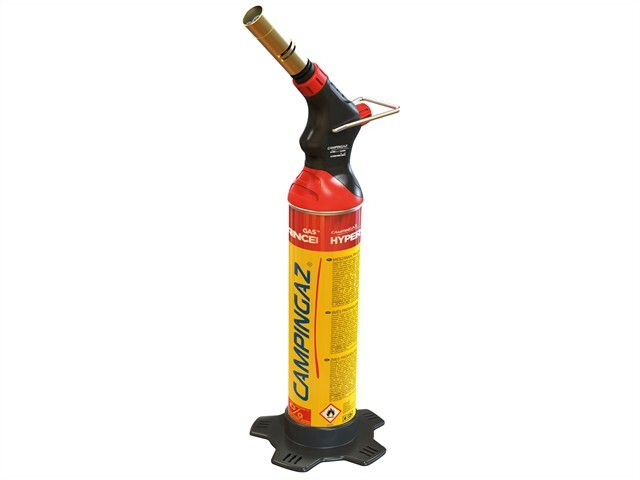 The Campingaz A3000 Hyperformance Blowlamp has an ergonomic handle for extra comfort and a control knob for improved flow regulation. It features dissipation holes and comes with a stabiliser for safety. Its fine flame nozzle is ideal for precision work. The blowlamp has up to 33% reduced pre-heat time compared to other blowlamps and comes complete with a Hyperformance gas cartridge.